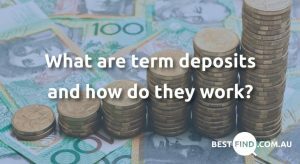 Is a term deposit right for you? Chances are you’ve heard about term deposits as a way to make your money work for you. These uncomplicated financial products are deposits that can be made with a lender for a predetermined period of time. Usually spanning from 1 months to upwards of 5 years, term deposits offer relatively high interest rates over the time your money is deposited. When your deposit matures, you can either withdraw or ‘rollover’ your funds to a new term deposit. Whether you’re an experienced investor or simply looking for a better interest rate than your savings account offers, term deposits are worth considering. We’ve outlined some strengths and shortcomings of these investment products so you can decide if they’re right for you. Term deposits are among the most straightforward investment products out there. Simply open up your term deposit and there’s absolutely nothing to do but wait until the period’s almost over. There are typically no fees for opening up a term deposit, monthly or maintenance fees. A term deposit only involves locking up your funds for a certain amount of time. During this period you’ll enjoy a predetermined interest rate without doing a thing. The beauty of a term deposit is the assurance of a fixed interest rate during the time that your funds are invested. Should you be lucky enough to lock this in while the market is strong, you’ll enjoy this high interest for the duration of the term deposit. This protects you from market fluctuations and can be a source of comfort should savings account interest rates drop. With your savings safely locked away, you won’t need to worry about whether you’ll be tempted to spend it on something spontaneous. It’s much easier to stick to a budget and achieve your other financial goals when the risk of impulse buying is off the table. 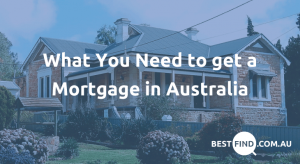 Aussie term deposits are protected under the Financial Claims Scheme, which guarantees you government compensation of up to $250,000 if the lender you deposit with defaults. Under the scheme a single $500,000 investment could potentially lose half its value should your financial institution go under, but this is easily avoided simply by splitting your deposit into two term deposits of $250,000. The fixed interest rate of term deposits has a down side. If market interest rates start looking stronger, there’s very little opportunity for you to benefit from this without paying withdrawal fees. There’s also very little chance that any benefit over and above these fees will be worth much either. Unfortunately it’s not possible to introduce more money to your term deposit once you’ve settled on a plan and the clock starts. Unlike savings accounts that allow you to add more funds to a savings account at any point you like, term deposit funds are locked away. With good planning skills however, it’s always an option to open two or more term deposits with staggered maturity dates. If you require instant access to your money or an emergency arises, withdrawing is not as easy a task as it is with savings accounts. Term deposits will often require you to pay fines for withdrawing your funds before the period is up. 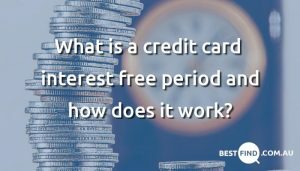 Often, this is accompanied by a cut to your initially high interest rate. In some circumstances you may need to give up to a months notice before any withdrawals can be made. It’s important to pay attention to the maturity date for your term deposit. At the end of this period it’s not unusual for your money to rollover automatically and a new term to be started. Very often these new terms will be lower than the original rate you committed to, and if you don’t pay close attention, you might well be looking at a penalty withdrawal fee. Unlike high interest savings accounts or a variety of other competitive products offered by banks and .peer-to-peer lenders, term deposits are very much set in stone. This means a low chance of any bonus interest that you might get from a savings account (though some providers sometimes offer a bonus if you roll over). Similarly, once you’ve committed your money, and accepted your fixed interest rate, there’s also no incentive for your bank to tempt you with flexible features or options. Once you’ve weighed up the pros and cons of term deposits, you’ll be in a much better position to decide whether this strategy suits you. Moving your money from a savings account to a term deposit doesn’t have to be an all-or-nothing decision. Realistically there are plenty of different options around the amount you choose to invest and a range of investment term lengths. If you wish to compare term deposits. Visit our term deposits page to see some of the top rates available in the market.